Parents and music teachers have always encouraged children to take up a musical instrument, hoping that the rigours of music-making will lead to a surge in academic performance. 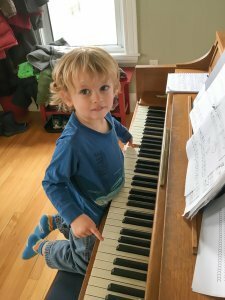 There have been many studies, but up until now, the results linking music lessons to increased brain power have proved inconclusive. But a newly published study, measured over five years in the University of Southern California, changes all that. The university found significant differences between kids who learned to play instruments, and those who did not. Music study appears to accelerate brain development in young children. Published in the journal Developmental Cognitive Neuroscience at a time when many schools have either eliminated or reduced their music lessons, the study shows that instruction in music increases the efficiency of the auditory pathway and speeds up its maturation. These results reflect that children with music training … were more accurate in processing sound. In addition to this, those who receive childhood music instruction receive long-term extra benefits. So next time you nag your offspring to practise their musical instrument – or even nag yourself! – remember, that squeaky flute or caterwauling violin may be opening up any number of new connections. Simon Jordan is a piano player and violin player and a teacher in southern England who has played as a child at the Royal Festival Hall and started learning both instruments at five. He is no genius, but hopes to be, one day.